The Monro, Inc. brand portfolio features 10 of the nation’s leading auto service and tire brands. Each delivering the highest quality products, service and value to the customers they serve. Monro has been a pioneer in the auto service industry since company founder, Charles J. “Chuck” August, opened his first muffler shop in Rochester in 1957. With nearly 500 company-operated stores in 15 states, Monro provides superior maintenance and repair services, quality replacement parts, and name brand tires, at affordable prices. 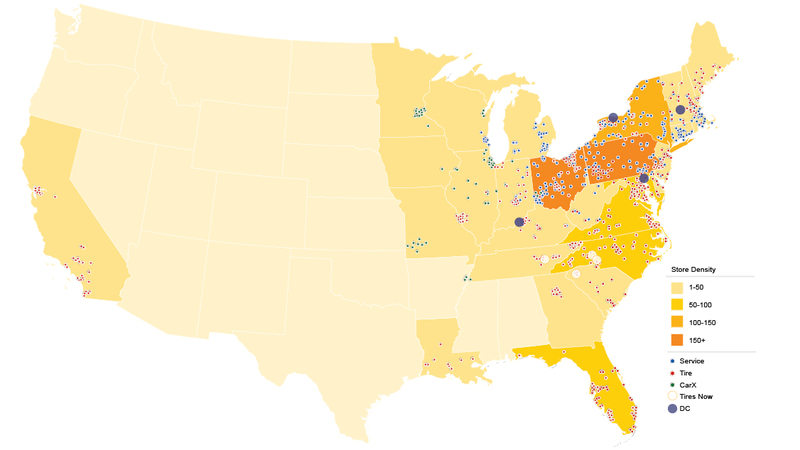 Monro serves all of the Eastern United States, with a footprint that extends from Massachusets to South Carolina and from the Mid-Atlantic to Missouri. Over 300 Mr. Tire stores in 11 states provide complete under-car care, including oil changes, brakes shocks and struts, exhaust, state inspections and, of course, replacement tires. Mr. Tire began in 1970 in the Baltimore area. The chain was acquired by Monro, Inc. in 2004. Tread Quarters, with 55 stores in Virginia, Maryland, and the Carolinas, is a complete tire and auto service center, including oil changes, brakes, shocks and struts, exhaust, state inspections and, of course, replacement tires. Every store is company-owned and operated, not a franchise, ensuring maximum control over service quality and costs. With 35 stores in Kentucky and Indiana, Ken Towery’s Tire & Auto Care offers comprehensive auto services including oil changes, brakes, shocks and struts, exhaust, and an extensive inventory of replacement tires. Ken Towery opened its first store in 1971 in Lexington, and built a chain of stores that expanded westward to Louisville and across the Ohio River into Indiana. Monro, Inc. acquired the group in 2012. Tire Choice Auto Service Centers, with over 100 stores across Florida and Louisiana. They offer complete under-car care services, including oil changes, brakes, shocks and struts, exhaust, air conditioning and, of course, tires. Monro, Inc. bought the group in 2014, followed by a series of additional Florida acquisitions, including the 28-store McGee Auto Service and Tires chain, all of which now operate under Tire Choice banner. AutoTire Car Care Centers provide comprehensive auto services, including oil changes, brakes, shocks and struts, exhaust, state inspections and tires. All 26 AutoTire stores are located in Missouri and Illinois. Founded in 1981, the 26-store AutoTire group was acquired by Monro, Inc. in 2009. Tire Warehouse Tires for Less, regionally focused in New England, specializes in convenient drive-up tire sales and installation, as well as wheel alignments. Founded in Keene, New Hampshire in 1971, Tire Warehouse has grown to 56 stores including in neighboring Maine, Vermont, Massachusetts, and Rhode Island. The group was acquired by Monro, Inc. in 2009. Tire Barn’s 30 retail locations, primarily located in Indiana, specialize in tire sales and installation, as well as wheel alignments. The business began in the 1920s as a petroleum company, then a statewide chain of gas stations, and later convenience stores that also sold tires. In 2007, Tire Barn decided to focus exclusively on tire sales and service. The group which includes three stores in Tennessee and one store in Illinois was acquired by Monro, Inc. in 2012. For years, Tires Now has been a valuable partner to independent tire dealers, offering a deep inventory and excellent pricing. Our distribution network covers most of North Carolina, Eastern Tennessee, the Upstate of South Carolina, Western Kentucky, and parts of Virginia and Georgia. 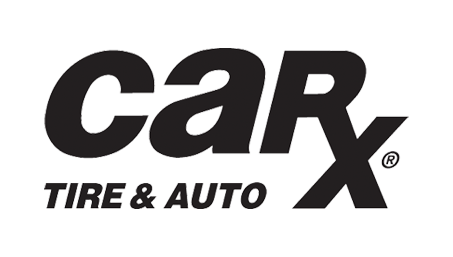 Locally owned and operated for over 40 years, Car-X is known for its exceptional service. Monro, Inc. owns and operates more than 60 Car-X stores and provides services to an additional 96 franchise locations. Today, the company has grown to become the nation’s leading automotive service expert, providing comprehensive auto repair, with great service and outstanding value.